Every time I hit these milestones on my blog, I just have to pinch myself. I cannot believe how blessed I am to have the support of such a wonderful community of friends. This was a big one for me! Never in my wildest dreams did I think that I would have 500 people interested in my ideas. It is truly a privilege to be able to share my teaching journey with you! I thank each and every one of you for your support! Let's get this giveaway started! I decided to break this giveaway up into four individual giveaways but you can enter each one as many times as possible. 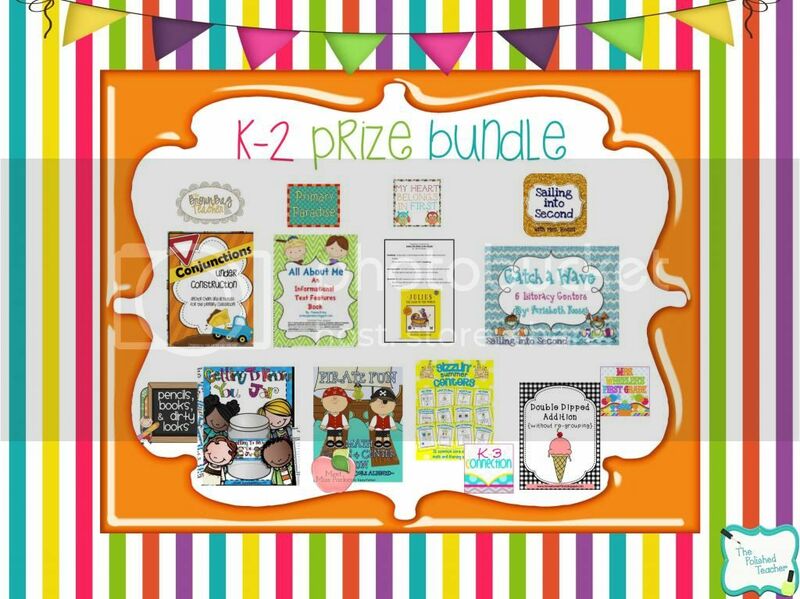 There are K-2 giveaways and grades 3-6 giveaways so that you can get material that's appropriate for the grade you teach. First up, K-2! 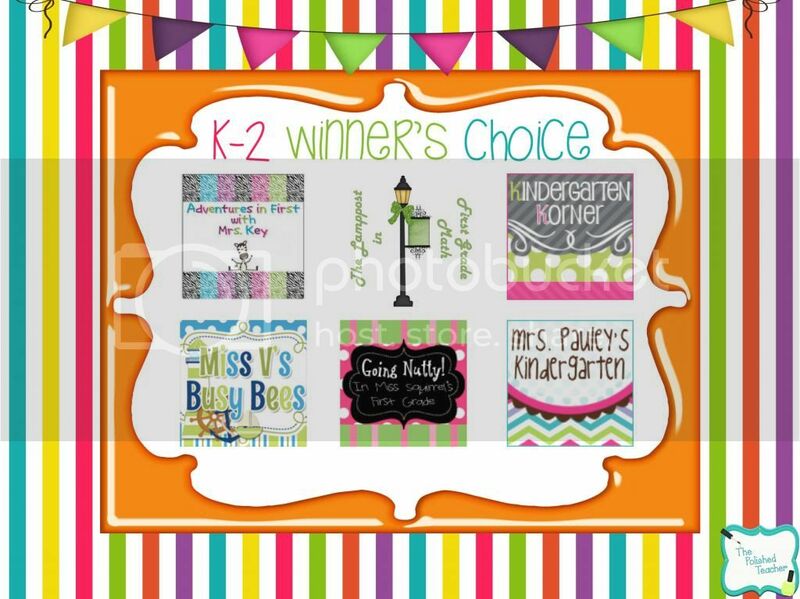 Whoever wins is going to be one lucky teacher and have lots of fun his or her classroom! I would love to win it all! Finally, grades 3-6. 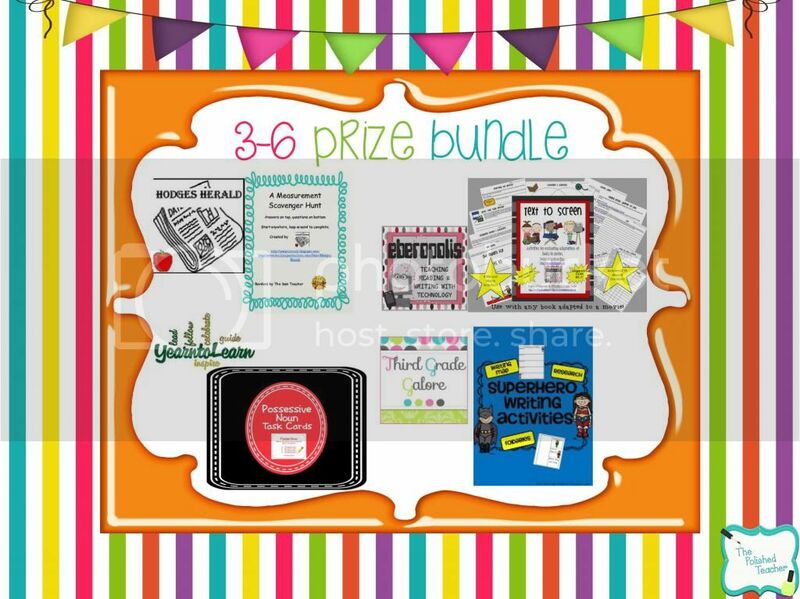 I am so excited to offer prizes for the upper elementary grades too! I have some lovely followers who teach the upper grades and they are often overlooked! Hope you find something you can use! 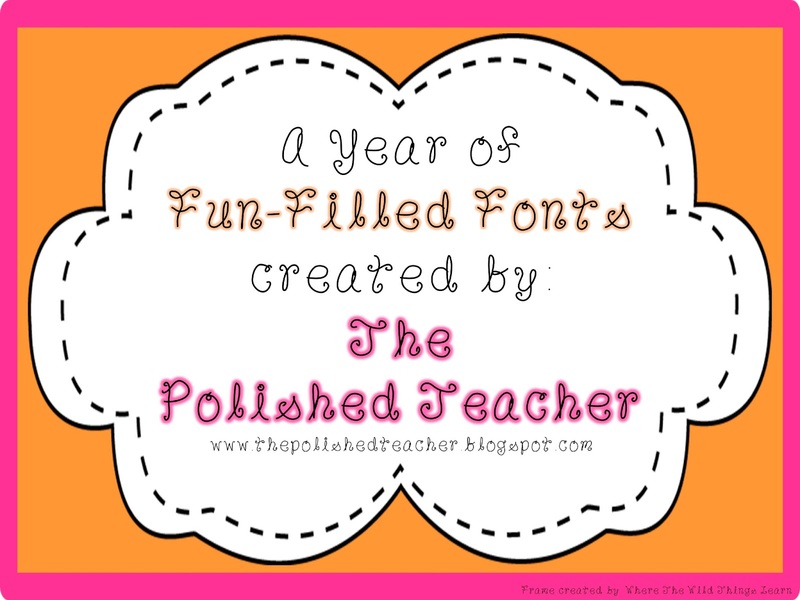 Out of the people that leave a comment on my blog, I will be doing a random number drawing and selecting a 5 lucky winners to receive my A Year of Fun Filled Fonts pack in honor of 500 followers. Be sure to leave a comment below about anything at all to be entered to win this bonus prize! This giveaway will run for one week so be sure to get your entries in sooner rather than later! A huge thanks to the wonderful bloggers who donated a prize to the giveaway! I couldn't have done it without you! Congrats! What a great milestone. I accidentally entered for the K-2 giveaway first, instead of the the 3-6 ( I guess I haven't had my coffee yet!) so please disregard those entries. Hope you are enjoying the beautiful weekend. Thanks for hosting such a great giveaway! Congrats on the big 500!! Congratulations on reaching 500! Outstanding! Congrats and thanks for including me in your giveaway! Love your blog! Congratulations on 500! Thanks for the great giveaway! Congrats on 500. What a great giveaway! Congratulations! I'm almost to 100 so I better start thinking about a giveway! I have no idea how to put it all together! Found you on Facebook! Congratulations on the 500+ followers! Congratulations on reaching 500 followers! Thanks for hosting a fun giveaway! Congratulations on reaching 500 followers not we will work on 1,000. Thank you for hosting some a great giveaway. Congratulations on 500 followers! That's amazing! So excited for this giveaway!!! Nice work and congratulations! Congratulations on 500 followers. Thanks for putting this giveaway together. I am so excited. Blessings on the rest of your school year & enjoy your summer. Congrats! This is an awesome giveaway! Congratulations on 500 followers!! thank you for the chance to win some amazing prizes. CONGRATS! that's a fabulous milestone! Thanks for the opportunity! Congratulations! Congrats! And thank you for all of your hard work! Congratulations on hitting 500 followers! Love fonts! Congrats on all the followers! I'm your newest follower! Thanks for the great giveaway! I'm striving to hit 250 and my next goal will be 500 (like you). Congrats!!! 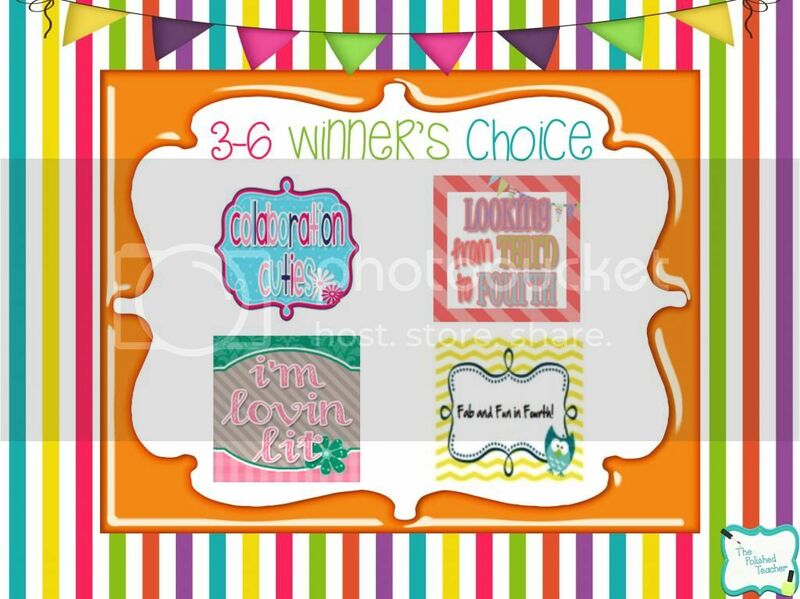 I love fonts;) Hope I win. 500 followers, AWESOME! Thanks for hosting the giveaway. Yay for you! What a fabulous accomplishment! Congrats! Fantastic giveaway! Congratulations on your milestone!! What a wonderful giveaway. What a great accomplishment! Congratulations. I would love to win. 500 followers, oh my goodness, congratulations. I can't even imagine getting to that amount. This is a great giveaway, congrats again. Congratulations! Very exciting! I sure hope I win something! Congratulations on 500 followers! One day, maybe I'll have 100 followers... What fabulous prizes, too! So happy for you! Congrats on reaching 500 followers! What a great giveaway! Congratulations on 500 followers! Thank you for celebrating with us! I love giveaways!! Keeping my fingers crossed that I win!! I'm your newest follower! Great giveaway! Congrats on 500! Yay! Fun giveaway, would LOVE to win!!! Congratulations on 500 followers! That is amazing! !! 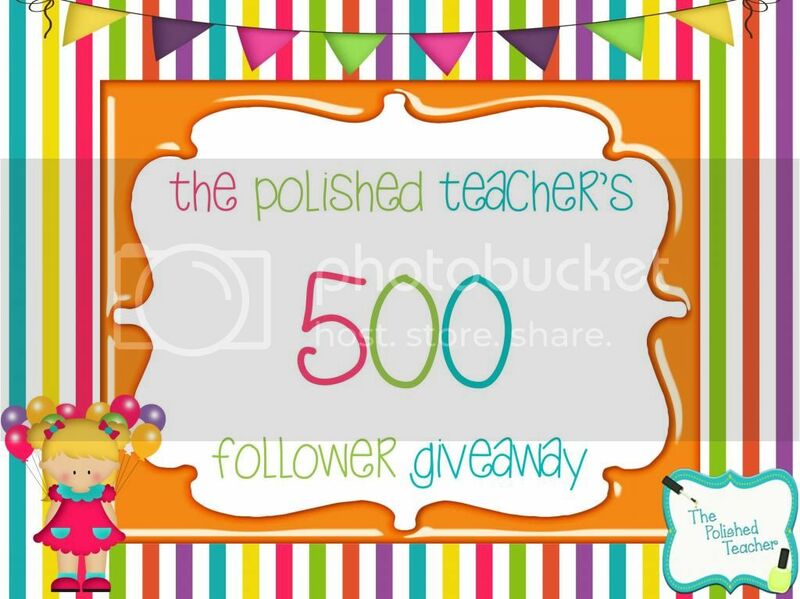 Congrats on 500 followers and thanks for the giveaway chance! congratulations of 500 followers. Giveaway looks great. Wow! Congrats on 500 followers! This is a great giveaway! I have one more day of workdays and then I am out for summer! Congratulations! what a fun way to celebrate! Thank you for such an amazing giveaway!! I am excited to get the chance to win. :) I am your newest follower and I can't wait to see all the exciting things on your blog. Great giveaway! Congratulations on your followers! Congrats! Great blog! You deserve it. Congratulations on your 500 follower! That's awesome! Congrats on 500 followers Ash! Thanks for throwing such a great giveaway!! I've loved following your blog! Congrats on 500 followers! yay! Congrats and thanks for the chance to win.